Jeanniey Mullen is recognized force in business growth, marketing and tech. 20+ years of experience. Successful in developing and building brands. Approaches each opportunity with a combination of entrepreneurial thinking and an eye for the bottom line. Early adopter of digital technology including email, mobile, social and wearables. Jeanniey has a track record of proven results for companies of all sizes, from start-up to Fortune 100. Current and prior roles include: VP of Marketing for NOOK by Barnes & Noble; Founder and CEO of Ringblingz; Global EVP, CMO, Zinio; Founder, Email Experience Council,; Executive Director, Digital Dialogue, OgilvyOne, & Corporate Director at JCPenney. 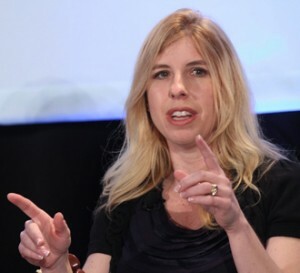 Jeanniey advises select early stage companies including IndieFlix, and Vivastream. She holds a seat on the International Executive Council for the Internet Marketing Association and is a member of Women’s Forum. Jeanniey has authored and contributed to multiple books, blogs and magazine articles. She is a regular columnist for ClickZ, a periodic blogger for Huffington Post and a frequent keynote speaker. She is noted as both a Top CMO and Author in various media outlets.